Age Nation Radio Magazine, co-hosted by George Cappannelli and Alan Hutner shares interview segments with Thomas Moore about his new book A Religion of One's Own: A Guide to Creating a Personal Spirituality in a Secular World. Scroll down the linked page for these segments. 1 What Will You Choose? 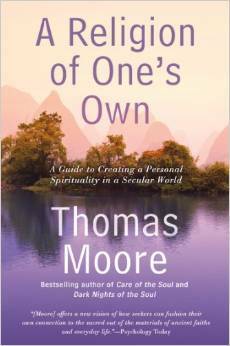 "Also enjoy the first part of a featured interview with best-selling author, Thomas Moore on his latest book, A Religion of One’s Own." "Also enjoy the next part of a featured interview with best-selling author, Thomas Moore on his latest book, A Religion of One’s Own." "Alan shares the next part of a valuable conversation he had with best-selling author Thomas Moore on his new book, A Religion of One’s Own." 4. Whose Beliefs Are You Living? "Today you’ll also hear the next part of a conversation Alan had with wise man and author Thomas Moore on his new book, A Religion Of One’s Own."